Coral Bay Villa. 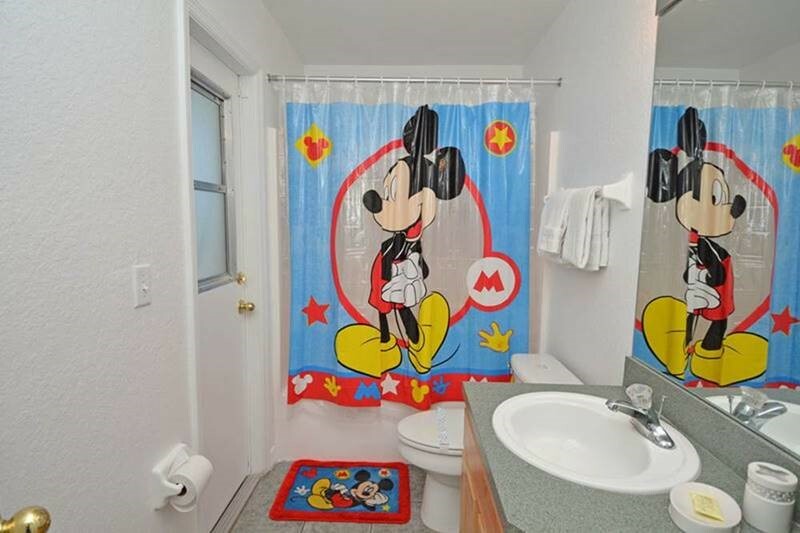 Executive, air conditioned 5 bedroomed, 3 bathrooms single storey villa situated within a quiet conservation area on highway 27 just north of highway 192 and is 12 minutes drive from Disney World Complex. Comprises 2 master bedrooms (en-suite), 1 double bedroom and 2 twin bedrooms, plus an additional bathroom. Living room, Dining room, kitchen/dinette. Games Room. Private, fibre optic lit screened pool/Jacuzzi includes child safety barrier. Golf courses, Supermarket, Pizza Parlour, Bank, Post Office and Restaurant are all close by. 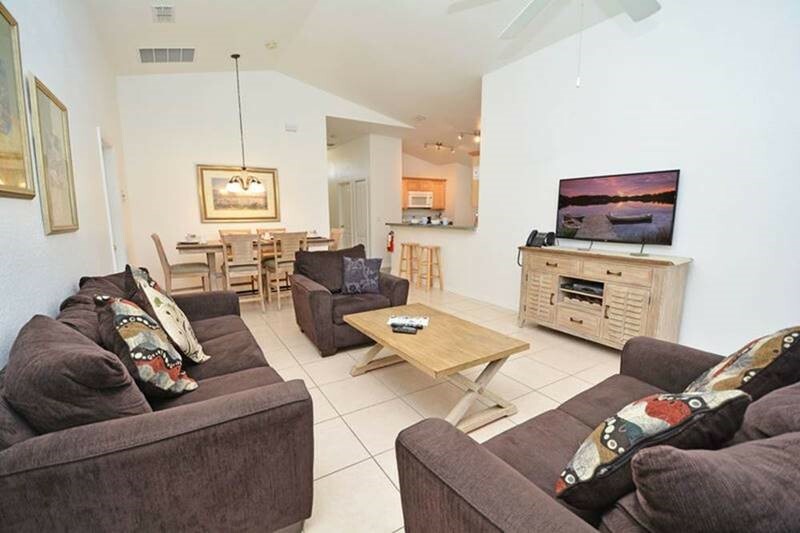 Coral Bay Villa is your ideal base for a fantastic family holiday with the capacity to sleep for up to 10 people it is ideal for 1 or 2 families who wish to enjoy the experience of a Florida holiday in style and comfort. After a fantastic fun filled day at the Theme Parks or on the Golf course, what could be better than a swim in your own pool? Or maybe relax in the Spa and conclude the evening with a drink or a game of pool in the games room. We also have a local Management Company on hand who look after our villa and our guests. There are folders in the villa with information on Theme parks, Restaurants, Takeaways etc etc. 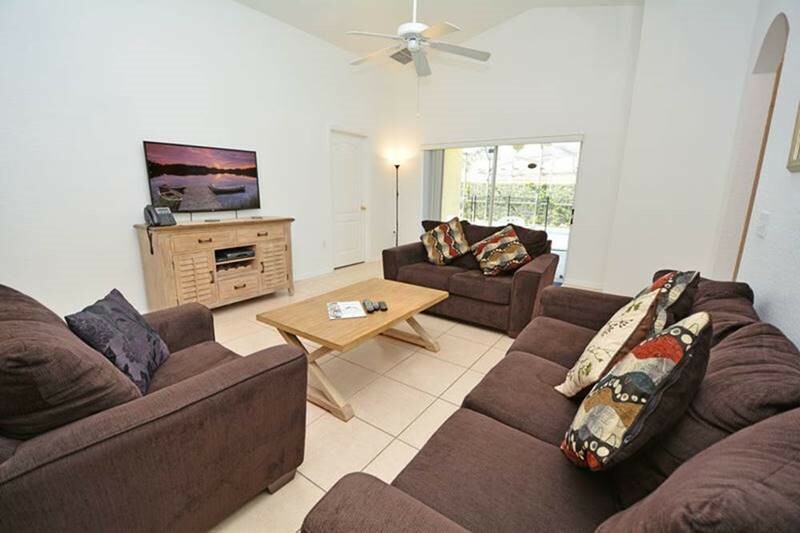 Coral Bay Villa is situated on the peaceful, Silver Creek Community in Clermont. Quietly located in a new tranquil development off Highway 27 1 mile from US 192. 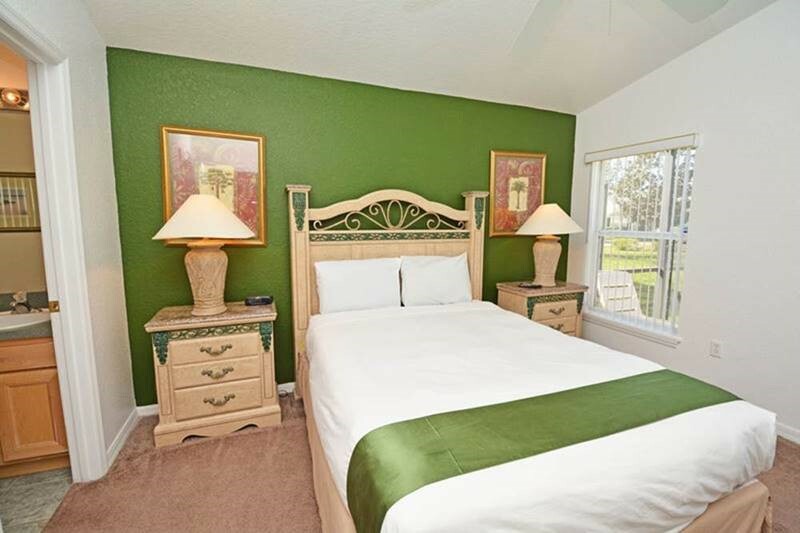 The villa is ideally situated to be a luxury base for your Florida holiday. Silver Creek is located Southwest of Disney and is only 12 minutes from Disney’s entrance. All of the other Theme Parks are within easy reach. The area is renowned for it numerous quality golf courses, which number over 150 around the Orlando area. The villa is ideally located for access to the courses if you are on a golfing holiday. If you fancy a day at the beach then the beaches of the East Coast such as Cocoa or Daytona are only 1 hours drive away. The west coast beaches of St Pete’s or Clear Water are also just an hours drive away. 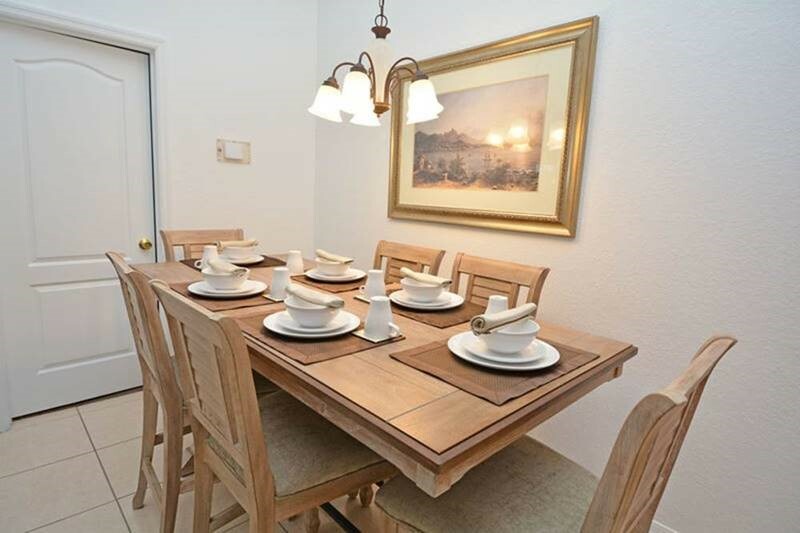 The villa is ideally situated close to local shops and amenities with a Publix Supermarket and a new Wal-Mart only a few minutes’ drive away. There is also a Post Office, Bank, Petrol Station and Take Out food outlets. 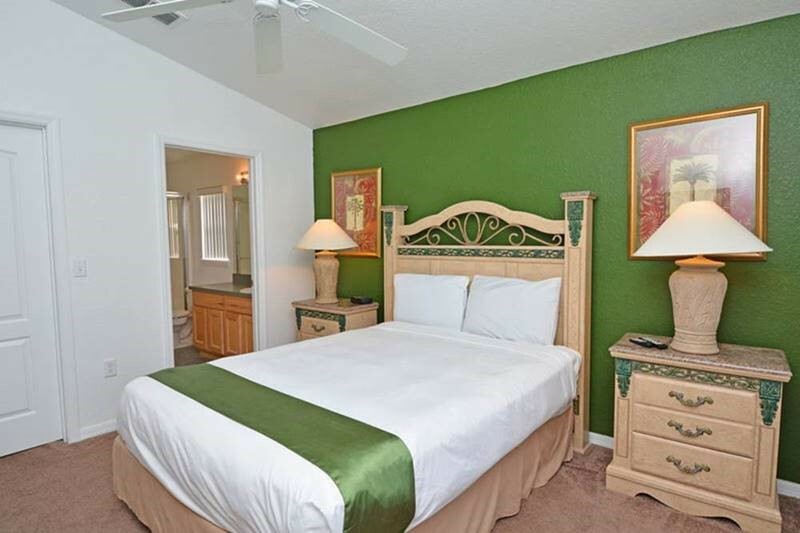 Within 5 minutes you can be surrounded by the many restaurants situated on US 192. The choice of food offered in the area is extensive. Whether you are looking for a luxury base for a fun filled holiday or a place to relax around the pool, we are sure you will find the Coral Bay Villa lives up to all you expectations. Completely furnished to an exceptionally high standard, and consists of 5 bedrooms with TVs (2 en suite), 1 Master Bedroom, 2 double and 2 twin, fully air conditioned throughout and additional bathroom. 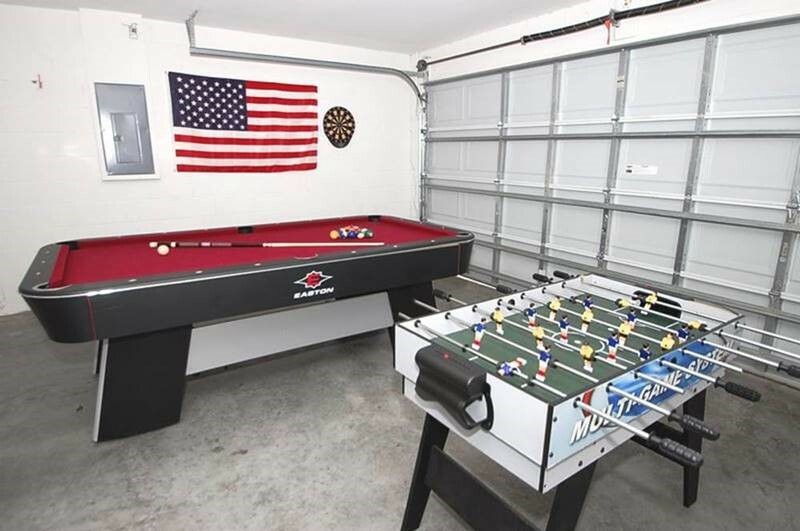 There is a Games room with pool table, foosball table and electronic dart board. There is wi-fi + free phone call within the US and the UK. 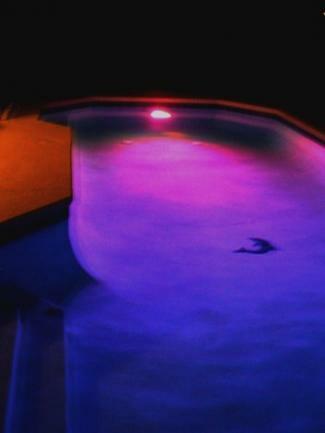 Fully screened private swimming pool and spa with fibre optic lighting to complete the ambiance. There is a washer and tumble dryer for our convenience. For those with babies/toddlers there is a travel cot & highchair. Features a queen size bed with a 77 channel 23-inch Flat screen colour TV with remote control. The bedroom has superb quality furniture comprising of matching headboard, bedside units and large dressing table & mirror. 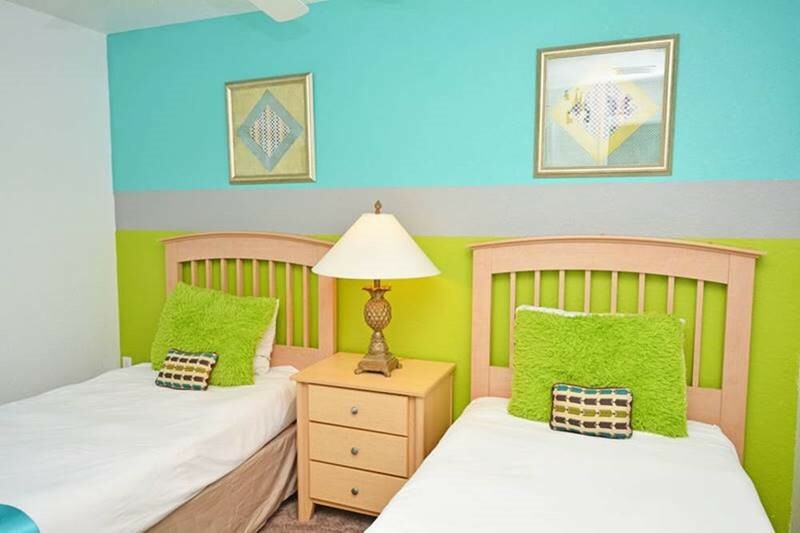 The bedroom has a ceiling fan and is air-conditioned. A walk in closet with ample space is incorporated. There are 2 windows with blinds that overlook the pool. There is a large en-suite bathroom with a double shower cubicle toilet and vanity unit together with plenty of cupboard space. This bedroom comprises king size bed, 19-inch colour TV, bedside cabinet and a large closet and storage armour. Bedroom 2 also has a large en-suite comprising of shower cubicle, toilet and vanity unit. 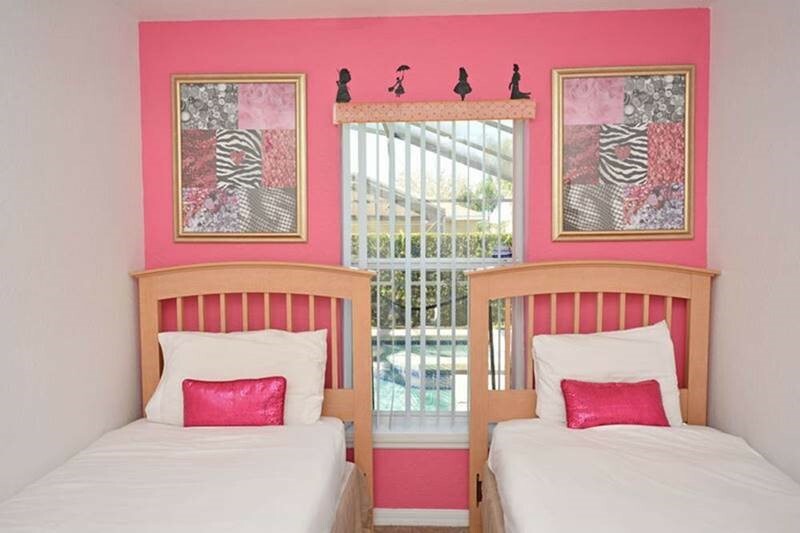 This bedroom also has a ceiling fan and is air-conditioned. This bedroom comprises twin single beds, 19-inch colour TV, bedside cabinet and a large closet and storage armour. Bedroom 3 also overlooks the pool and has a ceiling fan and is air-conditioned. This bedroom also comprises twin single beds, 19-inch colour TV, bedside cabinet and a large closet and storage armour also has a ceiling fan and is air-conditioned. 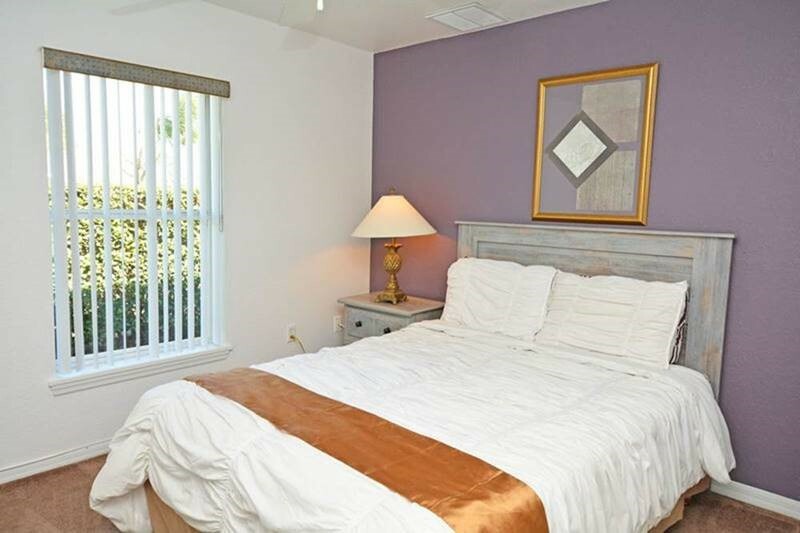 This bedroom has a king size bed, 19-inch colour TV, bedside cabinet and a large closet and storage armour. Also comprises a ceiling fan and is air-conditioned. 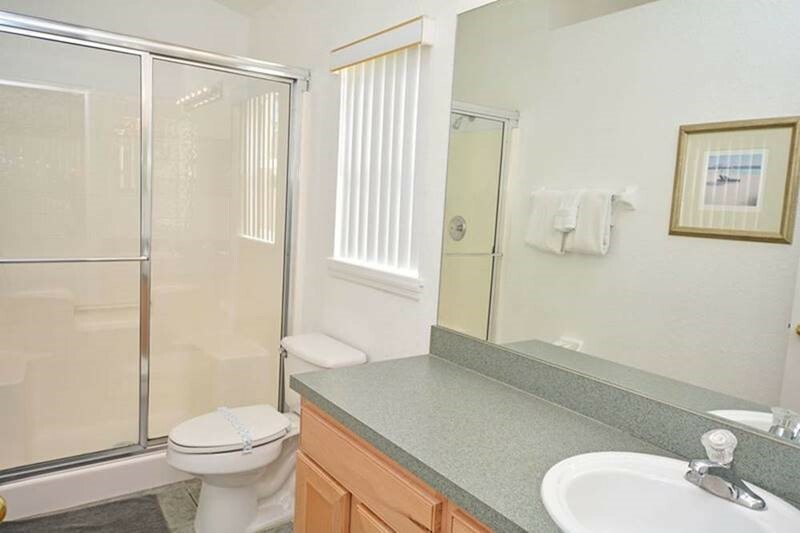 This bathroom is located next to bedroom 3 and serves the remaining bedrooms. There is also access through a lockable door onto the pool deck for your convenience. This bathroom has a bath including shower, vanity unit/basin, toilet and ample storage space. The open plan kitchen is equipped with utensils, crockery, cutlery, glassware, pots and pans for up to 12 guests. It has a large easy to use cooker with easy to clean ceramic hob and matching built in microwave. There is a large fridge/freezer with icemaker. 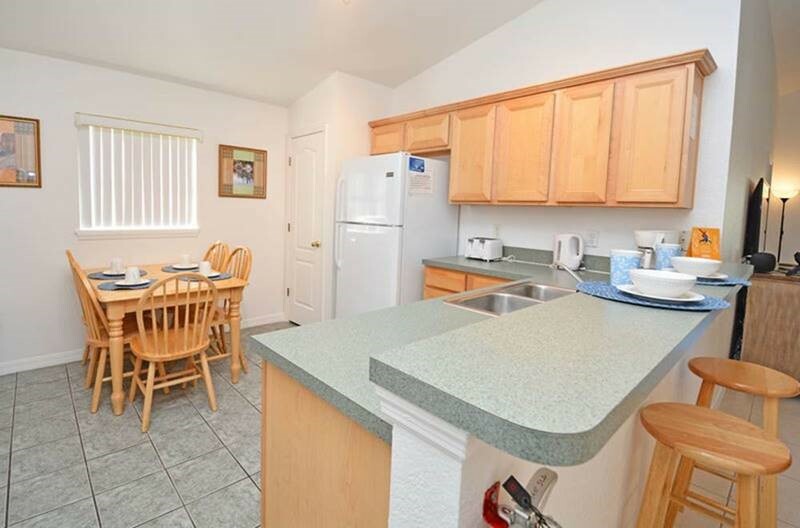 A dishwasher and garbage disposal unit are incorporated for your convenience. A table with 4 chairs is situated in the kitchen. Appliances such as toaster, coffer peculator, kettle, electric can opener, food mixer, liquidizer etc are also at your disposal. A separate washer and tumble dryer are located in the garage. The stunning west facing, 30ft x 15ft totally screened swimming pool and spa can be illuminated by a fibre optic unit to change the colour of the pool/spa at night. The pool & spa can be heated at an additional cost, if required. The spa can accommodate 5 adults. There is a covered lanai with light and fan above, table and chairs and sun lounges for your relaxation. A safety barrier is in place for keeping little ones safe from the pool. 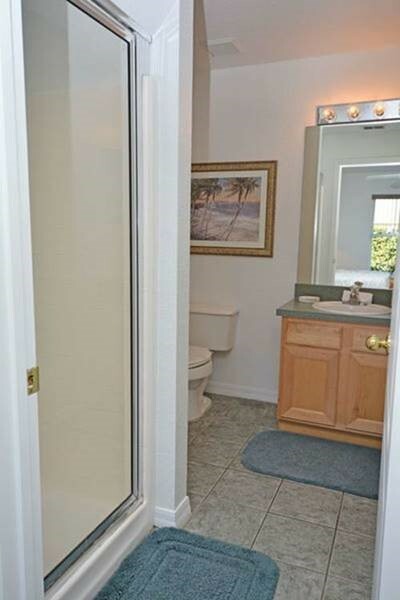 A door leads to the pool bathroom for your requirements. Spent 2 month in this property. Had trouble with the spa for the first 3 weeks then it was sorted out and worked fine after that. Kitchen is light on utensils and knives, etc. Pool table and ques were worn out and not useable. In summary the place was ok but not luxury as advertised. We are really sorry that you feel that way. Maybe If we had had more than 2 days notice of your booking, especially as it was a busy time and a holiday being New Years day & our management company had to move 2 x 3weeks paid guests to accomodate yourselves, our management company could have done more of indepth inventory. We have contacted our management company & they have confirmed that there was not a problem with spa. The heat on the pool/spa as with all pools, is set to a maximum of 90 degrees but as it was cold outside for the 3 weeks mentioned, the heat could not get any higher. Im sure you would have noticed the increase in temperature in the pool/spa as the temperature outside rose as you did not contact our management company regarding this matter again. Also had you mentioned the pool table and ques to them they would have been able to sort this out. Once again we are sorry that you thought that this was an issue and hope you found the rest of your holiday satisfactory. Silver Creek is one of the newer developments in the Orlando area. It is situated off Highway 27, over a mile away from the noise and bustle of the main road. It is approached through the quiet residential area of Clear Creek. You will find Silver Creek a quiet area surrounded by natural and manmade lakes, perfect for the keen fisherman. The area has been pleasantly landscaped which is starting to mature and gives a pleasant and peaceful area to wander round in the evening and watch the sunset, or even in the early morning when you may see the balloons overhead. During your wanderings you may be lucky enough to observe the family of sandhill cranes, the turtles and even the odd alligator or two. Silver Creek is only 12-15 minutes from Disney, the other main parks being a little further away. This may seem a might too far for some but just think you can come home at the end of the day to peace and quiet. For those who wish to get away for the coast, do not worry both the Atlantic and Gulf coasts are within 1½ hours. To the east you find the Atlantic coast where you may even see a Space Launch from Kennedy Space Centre. You can even enjoy the long sandy beaches that seem to stretch forever. To the west is the Gulf Coast and here you find the delights of St. Petersburg and Clearwater, not forgetting the excitement of Busch Garden and the beautiful coastline of the Gulf Coast - each worthy of a day trip and maybe come back in the evening and have dinner and a movie at Downtown Disney. 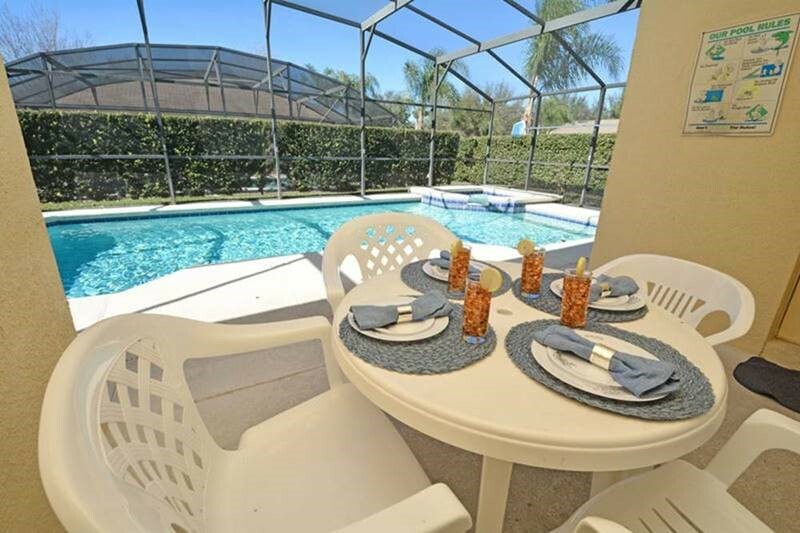 Orlando4Villas opinion, Silver Creek offers much for the family coming on vacation to the Orlando area. 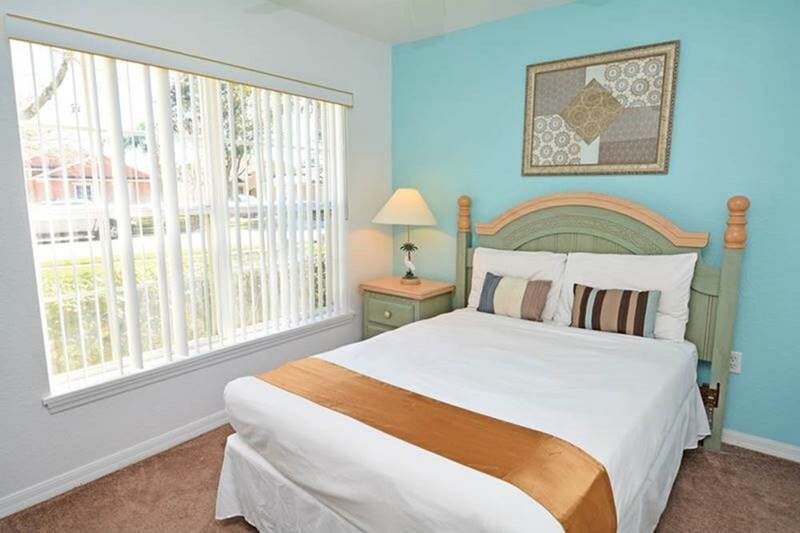 The community Silver Creek is only a short distance from the nearest shops and restaurants and is perfectly located in the Orlando area, close to all attractions and Large shopping malls. 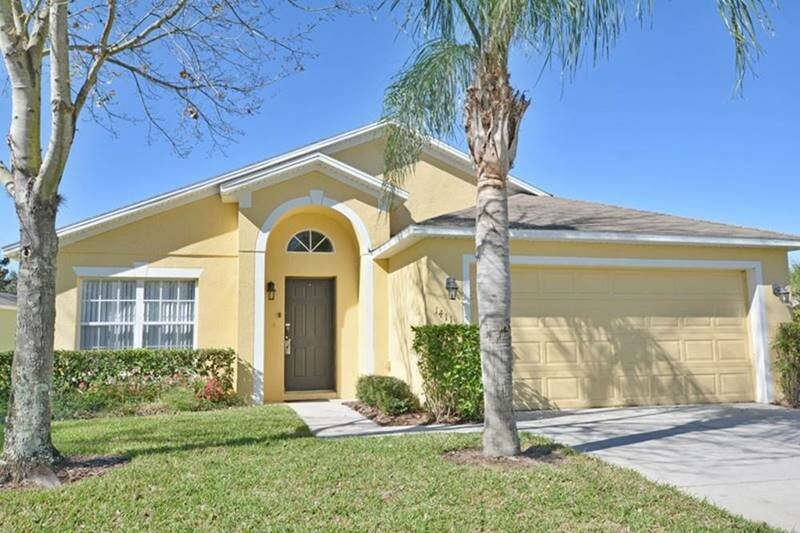 Orlando4Villas has the large selection of vacataion homes available for rent in Silver Creek.